It’s easy to miss dirt, dust and grime in the higher areas of rooms when you’re in the middle of spring cleaning. Pull out your stepladder and view each room from above. This approach can help you find and remove dirt and dust from the tops of window and door frames, refrigerators, light fixtures and ceiling fans, and on molding and trim. Fixing issues when they’re still minor can help you avoid costly repairs and damage to your home in the future. The first day of a heat wave is the worst time to discover that your air-conditioning system doesn’t work. Chances are that repairmen will be extremely busy fielding frantic calls from homeowners, which may mean you’ll have to wait a while for your repair and pay more than you anticipated. A quick test of your system will ensure that it’s ready when you need it. Add new filters to your heating and air-conditioning system, range hood, water filtration system and air purifiers. Replace batteries in battery-operated smoke and carbon monoxide detectors. Test both battery-operated and wired smoke and carbon monoxide detectors and replace units that don’t function properly. Dryer lint tends to build up deep inside your dryer no matter how diligently you clean your lint tray. Unfortunately, an accumulation of lint inside your dryer or in the pipe that vents hot air from the dryer to the outdoors can lead to a fire. The U.S. Fire Administration reports that failure to clean the dryer is the cause of 34 percent of the 2,900 home clothes dryer fires reported every year. Unplug your dryer and disconnect the vent pipe from the back of the machine before you begin removing lint. Vacuum excess lint from the back of the dryer and the area around the lint trap. You’ll also need to clean out the entire length of the pipe from your dryer to the outside vent. Special attachments that connect to your vacuum can make the job easier, although you may want to consult a professional if you have a blockage or can’t reach every part of the pipe. Loose Shingles and Siding: Even one loose or damaged shingle, brick or piece of siding can cause leaks that stain your floors and walls, damage drywall and insulation, and cause mold and mildew. Gaps Around Windows and Doors: Gaps let hot air out in the winter and cool air out in the summer. They can also lead to rotting seals and frames if they let water into your home. Check the condition of caulking around doors and windows and replace as needed. Look for new holes in your home, particularly at the foundation level or along the roof line. Holes in these places practically beg mice, squirrels or other small animals to make themselves at home in your basement or attic. Patio and Deck Issues: Check for broken pavers or concrete, holes or leaks in roofs or awnings over your deck or patio, and loose railings, steps or flooring. Problems with Trees and Shrubs: Have ice and snow storms damaged trees or shrubs? Remove dead or dangling branches promptly to preserve the health of the tree and protect your family from injury. If your shrubs aren’t sporting new growth, replace them with new varieties. Dirt: Schedule window and gutter cleaning services, and wipe off or wash outdoor furniture cushions before you place it on your deck, porch or patio. Don’t forget about your grill too. Even though you probably cleaned it the last time you used it, insects or small animals could have invaded it since them. Remove webs and nests, and look for signs of damages to hoses before you host your first spring barbecue. Although every home can benefit from spring cleaning, new homes are almost maintenance free. 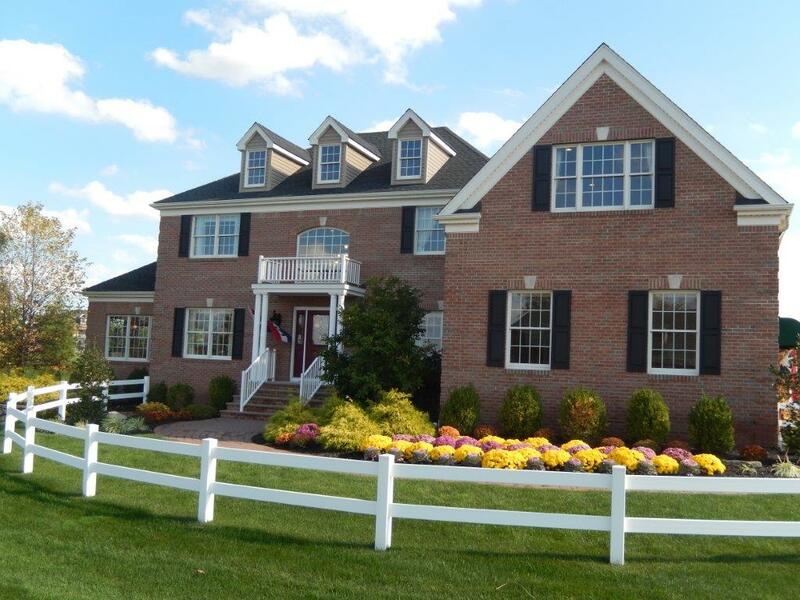 If you’re tired of paying for constant repairs for your home, make the move to Country Classics at Hillsborough. The executive homes offer large yards, four bedrooms, two-car garages, luxurious master bedroom suites, gourmet kitchens and formal dining and living rooms. Contact us soon, as our remaining home sites are selling quickly.